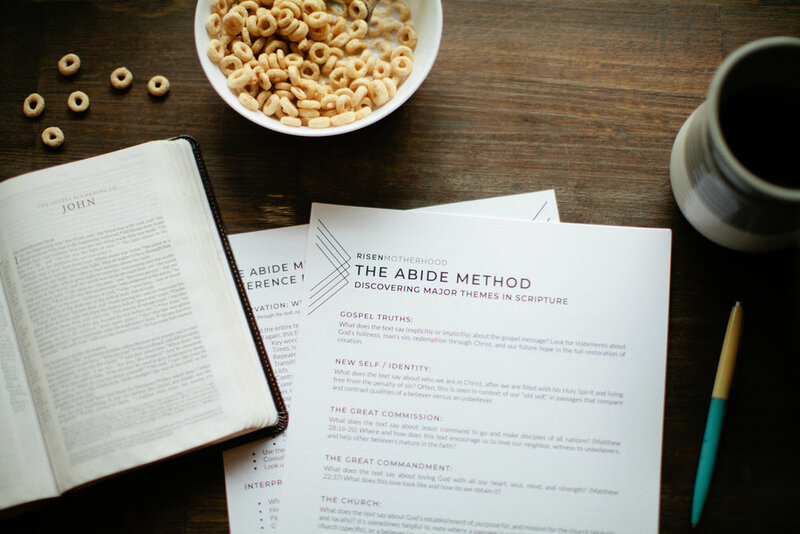 Going to Bible study in the early years of motherhood can feel like an Olympic feat. In our minds, getting everyone ready requires some gymnastics, enough snacks to feed a sumo wrestler, and the ability to marathon your way across a parking lot. In this episode, Emily and Laura discuss common struggles that keep moms from being involved in women’s ministry and reasons to get yourself out the door. While podcasts, websites, and books are great gifts of encouragement, God specifically gives the local church to train, equip, and nourish his children. Getting there will be worth it. Sometimes it feels like we can’t finish a thought before a child needs us to grab more water, tie a shoe, or change a diaper. When mom’s brain power is consistently going to urgent things, adding scripture memory into the routine can seem too hard. Who really has time for flashcards? In this episode, Emily and Laura show how memorizing scripture gives us the wisdom we’re craving for the everyday. God’s word renews our minds and transform our lives, which helps us in the carpool line, the kitchen, and every moment of motherhood. God gave us his word as a gift; let’s enjoy it. It’s vacation time! We can see ourselves sleeping in, sipping hot coffee, and diving into a good book. But it’s more likely someone will get sick, the traffic will be terrible, and the diaper bag will be left at the house. In this episode, Emily and Laura offer a “Mom Heart Check” to help find the root of difficulty in family trips. When we travel, it’s not about being served but about serving others. We can prep our hearts before, during, and after a trip by rethinking our expectations and remembering the servant love of Christ. Whether you’re the crafty mom who can beautify anything, the mom who is always coming up with fun new adventures, or the mom who feels caught in the doldrums of daily life God’s word teaches that we’re all creative. We’re all image bearers of the Creator. In this episode, Emily and Laura interview Quina Aragon—a wife, mom, and artist—on creativity and the gospel. As God’s ambassadors, we’re called to cultivate the earth in order to proclaim his name. Whether we make a delicious meal, comb a child’s hair, or help paint watercolor masterpieces, our creativity fills our homes and communities with the knowledge of the glory of God. There's a reason our podcast opens with, "Motherhood is hard." Because it is! From sleepless nights and potty training accidents to constant discipline and raising adolescents, motherhood can leave us crying in the bathroom and eating from the secret chocolate stash. 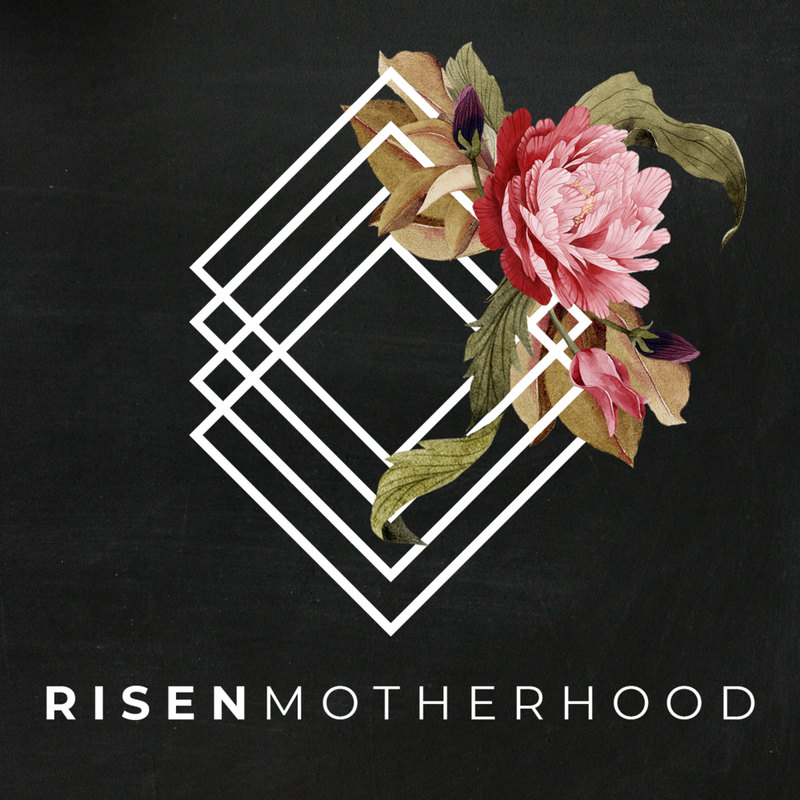 In this episode, Emily and Laura consider how the gospel breathes hope into the moments of motherhood that leave us feeling undone. The good news of Jesus means that God calls, equips, and sustains us in the work he's prepared for us to do—including requests for snacks, sibling squabbles, boo-boo kisses, and the fifth reading of their favorite book. We were never meant to mother in our own strength, and by the kindness of God, we don’t have to. Summer break is over, and the weekly show is back! In this episode, Emily and Laura discuss how the gospel applies to snack time. It may seem like a “lighter” topic, but our opinions, preferences, and rules about snack time reveal a lot about our hearts. Whether you’re guilt-ridden about “giving in” or glued to your snack standards, the gospel reminds us to identify with Christ as we love our littlest neighbors. You’re not the first mom to wonder, “How often should I bathe my kid?” or “How do you teach a stubborn child to obey?” Since other moms have asked these same questions, there may be someone with the biblical insight you need in your season of motherhood. In this episode, Laura and Emily remind us that looking to and learning from a mom who is in a season ahead of us can be a helpful way to apply biblical truth to the difficult situations in our lives! Despite our different life circumstances, we can learn from and teach one another because of our common status as believers in Christ. From one momma to another, let’s pass on God’s wisdom. From diaper choices and sleep methods to snack options and schooling methods, we make many decisions throughout our years of mothering. We research, we pray, we talk with our husbands, and we come to what feels like our “final” decision. But what about when we need to or want to change? In this episode, Emily and Laura talk about changing our minds on the little things and the big things. While we will never be perfect in decision-making, we serve a God who is wise, all-knowing, and in perfect control of all things. Momma, let’s be faithful in our limitations while trusting our limitless God to bring all things to fruition for his glory and our good. Parenting alongside your husband can sometimes feel overwhelming. We want to be intentional, but it can seem like we have wildly different plans than our spouses! In this episode, Emily and Laura give a nod to Valentine’s Day by diving into a marriage topic: unity with our husbands. Even though we have differences, God has joined us in marriage for his mission in our homes and has equipped us to do it together. Through Christ’s perfect record, we can humbly forgive one another, refocus on our mission, and live in unity with our husbands every day. All moms are working moms. We’ve each been called by God to love our families, train up our children, and use our gifts and abilities to glorify him in our unique situations. For some moms, this means they work exclusively in the home. For other moms, this means they work in and out of the home. In this episode, Nikki Daniels, wife, mom of three, and Assistant Headmaster of Advancement at Monte Vista Christian School, reminds us that God values us in every role he calls us to. No matter where we spend our days, our call is to be faithful with what he’s given us. The gospel will always meet a mom where she’s at and offer her the sweet freedom of a woman – not just a mom – rooted in Christ. Have you ever felt unequipped for the practical responsibilities of motherhood? You're not alone! Most moms have feelings of confusion and insecurity when it comes to handling the in's and out's of diapering, discipline, and domestic management. In this scenario, most of us will be tempted to avoid the uncomfortable, place blame on our personalities, or put our hope in a "silver bullet" strategy for motherhood. Is there another way? In this episode, Emily and Laura discuss their own insecurities coming into motherhood, and the ways they've grown as moms despite those challenges. Regardless of how well you were equipped for motherhood, God still calls you to trust Jesus and nurture the lives of those around you with joy and effectiveness. When the days are long, the tantrums are continuous, the sleep is lacking, and the mess abounds; the call to motherhood can feel daunting. Maybe we are completing our tasks, but having joy in the midst of them feels impossible. As time passes, we find ourselves more familiar with a tone of bitterness than a heart of rejoicing. In this episode, Emily and Laura discuss the difference between momentary joy and biblical joy, and the common reasons why it's hard to experience. The good news is, joy is available despite our circumstances, because Jesus offers an unchanging hope. Even when it seems like you've done everything right as a mom, inevitably, things still don't go your way. Someone disobeys, comes down with a fever, talks back or leaves their toy on the ground for you to step on, and in no time...you blow it. Your hopes for being a perfectly pulled-together mom are dashed for the day, leaving you wondering if there's even any point in trying. On today's episode, Emily and Laura talk about those bad moments that we let define and dominate our whole day. But we don't have to get stuck there, because our identity in Christ means we can keep pursuing holiness. When we finally stop believing that we are "bad mom" or "blow-up mom" or "can't get it together mom" but are "God's beloved daughter, fully redeemed," we can move on with bold purpose. Momma, will you join us? Momma, you know that time of the day, because it's marked by a series of recurring events. If you have a baby, they start fussing. If you have toddlers, they start begging for snacks and clinging to your legs. If you have a preschooler, they are bored with all the toys in the whole house. And you? You're exhausted! Oh yeah, and there is still food that needs to be made, a bunch of stuff to clean up, and several hours before bedtime. It's this time of day where most of us crumble (even those of us who were previously in a great mood). But do we have to respond this way? What if our hope in Jesus transformed our response? In today's episode, Emily and Laura talk about how a mom can do more than "just survive" until the end of the day! Because our hope isn't in a peaceful house, but in a person.